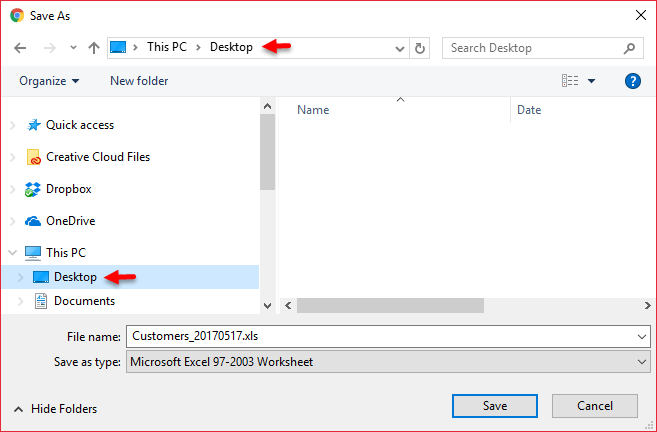 Download and save the Excel Template to your Desktop. 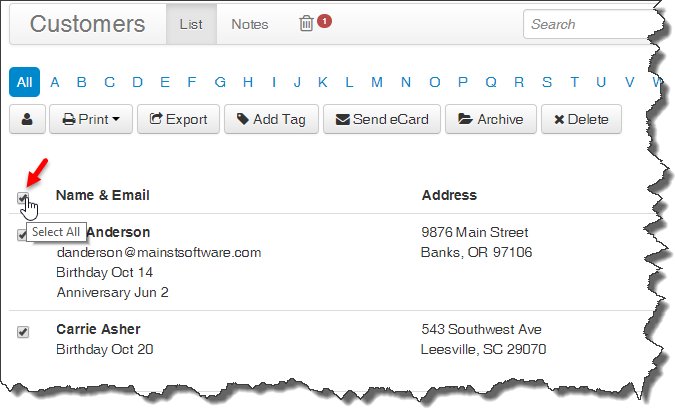 Add contact information to the template file, then save and close the file completely. From the Contacts menu, select Import > From File. From the Open form, navigate to your Desktop and select the Customer_YYYYMMDD.xls file (or Excel Template file). Select the customers to add or update, then click OK .